FanDuel is all about innovation. 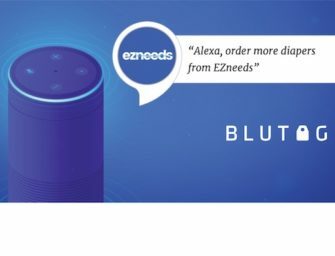 Voice recognition products like Amazon’s Alexa are a new frontier and we thought it was a great way to incorporate our fantasy product in a fun way. The Alexa Skill Pick Six provides FanDuel with more ways for sports fans to win, which is a company goal for 2018, said the spokesperson. The skill also offers extras like on-demand trash talk, motivational speeches, and the ability to check how your picks are doing during a game. Pick Six is just the beginning of FanDuel’s plans for Alexa. The company also sees the platform as a way to provide additional sports coverage such as pre-game scouting reports, in-game updates and post-game analysis. As far as integrating betting with Alexa, the parent company of FanDuel, Paddy Power Betfair, stated it does not currently have plans to introduce a betting feature, adding that Pick Six is a part of their strategy to offer players more game opportunities. This announcement comes on the heels of Alexa’s growing football IQ, and its growing collection of fantasy football skills. At ESPN, IBM’s Watson is predicting player performance while Google Assistant has partnered with CBS Sports to allow users to ask for player specific advice about their fantasy leagues. Many tech platforms have been prepping their voice assistants for the 2018 NFL football season as a way to further increase user engagement on smart speakers and other integrated devices. These partnerships are encouraging for the voice industry, because they reflect a growing understanding between traditional forms of media consumption, like television, of the voice industry’s growing potential and popularity with consumers.